For decades the inhabitants of Bruges go to Het Hof van Rembrandt for a good drink and a snack, in summer on the sunny terrace, in winter next to the cosy fireplace. Want to bet that you would also fall for the tasty charms of this cozy bistro? 't Hof van Rembrandt is located in the heart of the city, on the Eiermarkt near the marketplace, with a bus stop in the direction of the train station just around the corner. When the weather is nice, the terrace is bathed in the sun from morning to evening. Together with the customer, we always run through the matters which are the most important for them, because the website must be in line with the establishment. There is no point in misleading the visitor.... 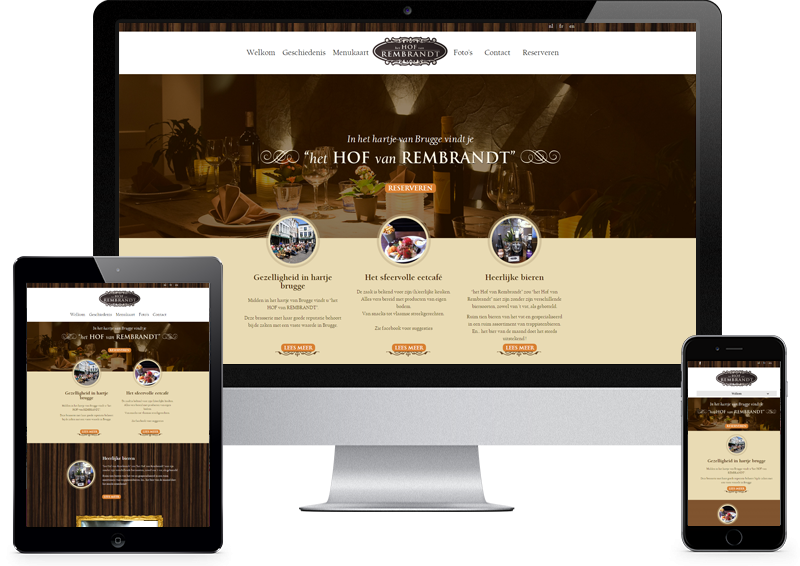 The website reflects the companionship and warmth you can expect, a nice trappist awaits you!